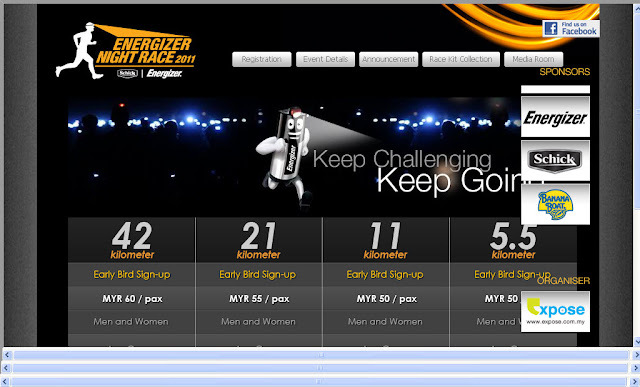 Registration for Energizer Night Race (ENR) 2011 now is open! There are 42km, 21km, 11km and 5.5km categories. 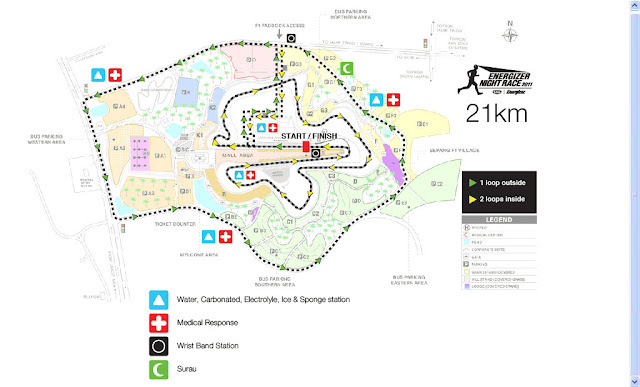 For 21km, you have to run 2 loops of SIC track and plus one big outer loop of SIC. As you can see on the above, the starting time for each categories are just 30 minutes apart ! I can foresee 10,000 human traffic jam on the SIC track ! Please bring the print out of your Registration Confirmation, Payment Registration and your identity card or passport. Once you register online, you should receive 2 emails from us. One is the payment confirmation, the second is the registration confirmation. The email with your confirmation number is the registration confirmation. The email with your payment details is the payment confirmation. Please print and bring both emails when collecting the race kit. Foreign/outstation runners arriving on 16 April 2011 may collect the race kit at the race venue (Sepang International Circuit) on the race day, 10am - 4pm. Alternatively, you may request someone else to collect on your behalf. 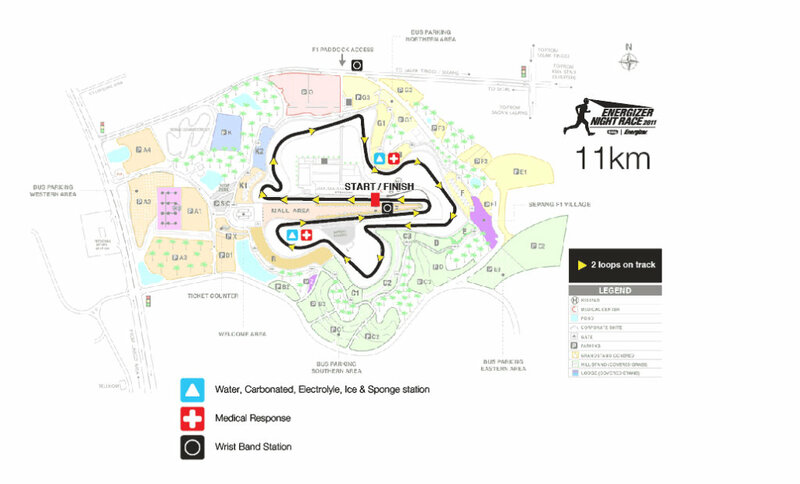 Foreign/outstation runners arriving on 16 April 2011 after 4pm, please proceed to the event secretariat at thePaddock Mall Media Room 3 (Sepang International Circuit) to collect the race kit. If someone is collecting the Race Kit on your behalf, he/she needs to bring your Registration Confirmation and Payment Confirmation email hard copies. The one collecting for you should also bring his/her own identity card/ passport (not yours) for our record. - At the collection counters, you need to submit the registration and payment confirmation emails to the official. Btw, to those who signed up, and you need to start your training, you're welcome to join Runners Malaysia Beginner Running program to kick start your running! 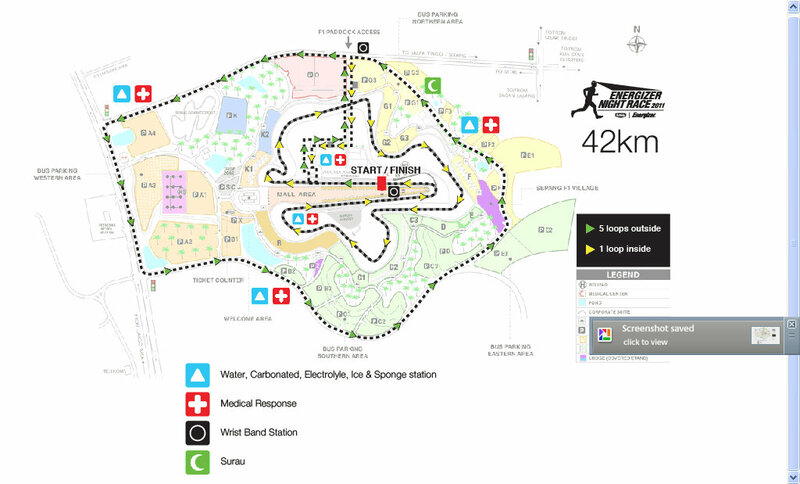 Runners Malaysia group is alway at Bukit Aman Car Park, Saturday 7.30am for run about 7km or 4km, up to individual choice. Hi there! :) Thanks for the detailed info re ENR 2011. I'm trying to register for the race but the site is down/too busy.